Customer Relationship Management (CRM) tool helps businesses save time and grow productivity by implementing processes to generate, nurture and close customer leads. Click 'Store' on the menu bar and locate the 'CRM' tile. Click 'CRM' to view the product description. 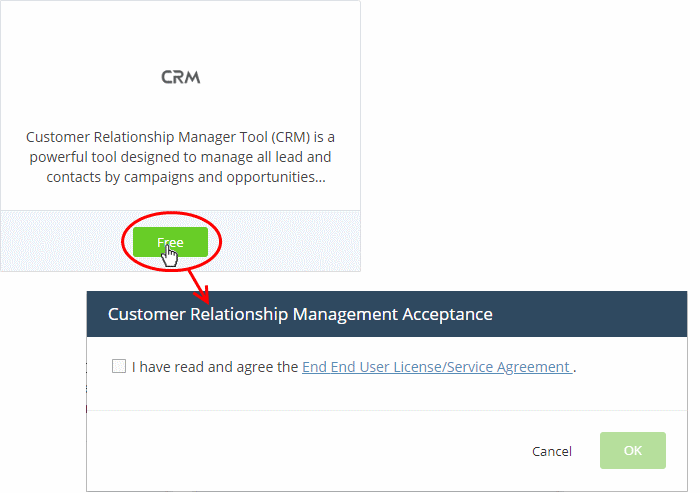 Click 'Free' to start the integration process. 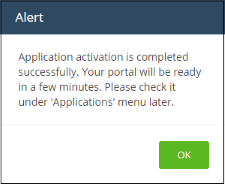 Click 'Applications' on the menu bar then select 'All Applications' from the list. 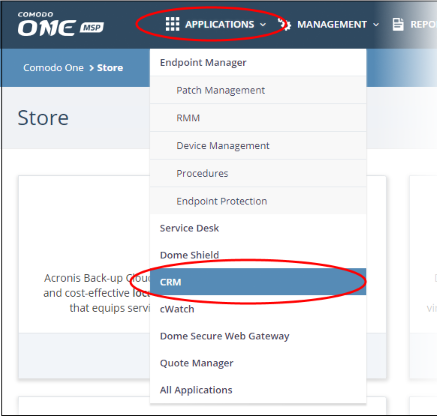 The CRM interface will open in a new tab or the current tab as configured in 'Settings' > 'Comodo One Application Launch'. See Configure application launch settings in Configure C1 Settings for more details.